Do you feel like something is missing in your life but not sure what it is? Are you feeling restless about your purpose in life or fearful that you'll never fulfill it? 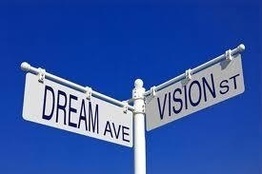 Do you have a dream, a vision or a goal that is calling you, but don't how to make it real? Are you stepping into your adult life but aren't really clear about where you're heading? Do you feel stuck and not sure what's next for you? Are you simply ready to start creating your best life now? this workshop series may be just the thing for you! This is a GREAT gift idea for the family, friends or the young people (ideal for ages 18 and over) in your life!!! Your process and results will be individual and unique, however if you do this workshop with someone you know, you will love the continuity and connection that sharing this experience will provide long after it is over! Trisha and her team are EXPERTS at working with teens and young adults.This work is like nothing young people have ever experienced in school before and is definitely worth taking some time out of class or work to explore! It's cutting edge, engaging and transformational ... and IDEAL for both adults and young people alike (ages 18 and over) who are planning their future or looking to create a more fulfilled and purposeful life and need some guidance along the way. Call Trisha at 603-986-6076 or email her at info@trishajacobson.com with any questions. Trisha Jacobson provides speaking, training and coaching to teens, young adults and women to help them connect with their passion, discover their unique life purpose, achieve success and create the life of their dreams. She is a health care professional, teacher, coach and Certified Hypnotherapist who is fascinated by the mind-body-spirit connection as it relates to physical and emotional health and wellbeing. 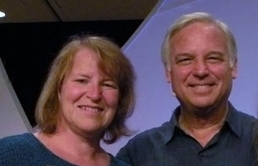 Trisha has been personally trained, coached and mentored by Jack Canfield, star of the movie The Secret, author of the best selling Chicken Soup for the Soul series and the Success Principles: How to Get From Where You Are to Where You Want to Be. She is a graduate of Jack's Basic and Advanced Breakthrough to Success programs and completed his elite, year long Success Principles Train the Trainer Program in the fall of 2012. Trisha currently serves on Jack's Train the Trainer Team and is collaborating with The Canfield Training Group to bring her Pathways to Success curriculum to teens and young adults across the country. She has been incorporating Jack's work into her elementary, middle and high school classrooms and recently got a story from one of her classes published in Jack's 10th Anniversary edition of the Success Principles. 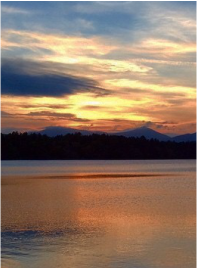 In the winter, you can find Trisha on the mountains of northern NH where she is a certified ski instructor and serves as the director of King Pine Ski and Snowboard School. Her specialty, both on and off the mountain, is helping people overcome fear by eliminating subconscious blocks and engaging the power of the heart to create transformative experiences that help her students connect to their unique magic both on and off the mountain! She is the author of the best-selling novel Match Meets the Metaphysical: A Transformational Journey to Light and Love and the soon to be released book Success University for Women. Trisha's ultimate dream is to have a school and retreat center based on Jack's Success Principles that will support youth and adults in creating entrepreneurial success and living the life of their dreams!